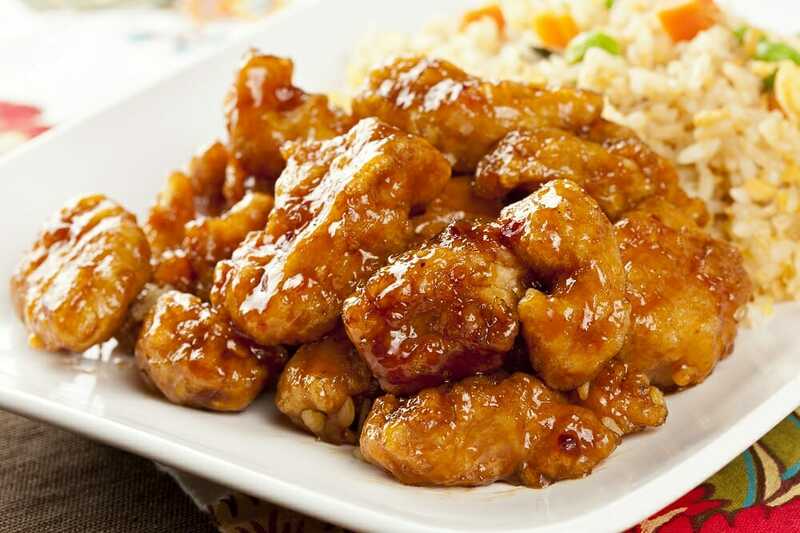 Orange chicken is a favorite at many Asian restaurants. This gluten-free version is easy to make at home. Heat oil in a deep fryer or 2-inch deep-frying pan to 350? F.
Add the rice flour to a large re-sealable plastic bag and place the chicken in the bag. Shake well to coat the chicken. Shake off the excess flour and deep fry the chicken in batches until completely cooked. Remove the chicken from the oil and place it on a plate lined with paper towels to absorb the excess oil. Heat a wok or large sauce-pan and pour San-J Orange Sauce in the wok to heat for a few seconds. Add the chicken to the sauce and stir until the chicken is well coated and the sauce thickens.